Scott interviews chilehead Vic Clinco, who just so happens to have the world’s largest privately-owned hot sauce bottle collection. Vic is an undisputed hot sauce expert, a fellow writer for Chile Pepper Magazine, and has recently undertaken some serious formal culinary training. 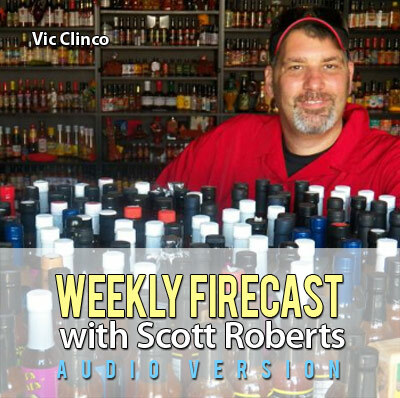 In addition to chatting with Vic about the collection and the industry as a whole, Scott also picks Vic’s brain to see what his favorite sauces are for particular gastronomical uses. Elsewhere in this episode, Scott interviews Karen and Bob Basel of Ohio-based BBQ sauce and seasoning company Black Swamp Gourmet. The review of the week is Intensity Academy’s Chai Sweet Chili Sauce.